What is a B Corporation (B Corp)? Why does Education for Good (EFG) take the trouble of being certified as a B Corp? What is the significance of having B Corps in HK? I am sure you might be intrigued by such questions. 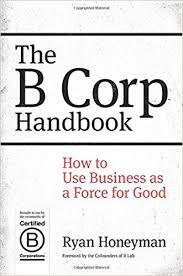 Let me begin by saying that B Corps have become a global movement turning businesses into a force for good. I anticipate that this movement will also catch on in Hong Kong. What are B Corps anyway? A concise introduction to B Corp is given in this video. B Corps are companies that aspire to leverage market forces to address social and environmental challenges. Specifically, B Corps are for-profit companies certified by the nonprofit B Lab based in the U.S. to meet rigorous standards of social and environmental performance, accountability, and transparency. As of March 2016, there is a growing community of more than 1,600 Certified B Corps from 47 countries and over 130 industries working together toward one unifying goal: to redefine success in business. B Corp certification is similar to LEED certification for green buildings, Fair Trade certification for coffee, or USDA Organic certification for milk. A key difference is that B Corp certification evaluates the entire company (e.g. staff compensation and welfare, supplier relationship, environmental footprint, community involvement, and governance structure) rather than looking at just one aspect of a company. We all know that business is one of the most powerful forces in contemporary society. At its best, business stimulates economic growth and encourages collaboration, innovation, and mutual well-being. At its worst, business – and the tendency to focus on maximizing short-term profits – can lead to multiple social and environmental damages as well as distortion of human needs and values. Capitalism as we know it is facing unprecedented challenges. Over the past twenty years, there has been some deep soul searching among leading practitioners, management thinkers and civic leaders. The growing consensus seems to be that Business as Usual is no longer an option. A variety of thought and movements have emerged in different parts of the world advocating and promising new models of business and practices, such as Creative Capitalism, Conscious Capitalism, Natural Capitalism, Creating Shared Value, the B Team, and B Corps, etc. Among all these different efforts, the B Corp movement stands out as one of the most organized and powerful forces of change. The B Corp idea was the brainchild of Jay Coen Gilbert, Bart Houlahan and Andrew Kassoy. Gilbert and Houlahan were founders of a highly successful business, AND 1, and Kassoy was their longtime friend and former Wall Street private equity investor. Founded in 1993, AND 1 was a basketball shoe company which rapidly rose to become the number two brand in the U.S. (behind Nike). The company was a socially responsible business before the concept of Corporate Social Responsibility caught on. It had a basketball court at the office, on-site yoga classes, great parental leave benefits, widely shared ownership of the company, and each year it gave 5% of its profits to local charities promoting high-quality urban education and youth leadership development. It also worked closely with its overseas factories to implement a best-in-class code of conduct to ensure worker health and safety, fair wages, and professional development. In 2005, the company was sold to a new investor. However, it was heartbreaking for the founders to see all of the company’s pre-existing commitments to its employees, overseas workers, and local community stripped away within a few months of the sale. After some serious soul searching, Gilbert, Houlahan and Kassoy co-founded B Lab, a non-profit organization dedicated to harnessing the power of business to solve social and environmental problems. The B Lab team created a comprehensive set of performance and legal requirements and started certifying the first B Corporation in 2007. Today, certified B Corps are found in many parts of the world, Europe, Latin America, Canada, Australia, New Zealand, Asia and even China and Taiwan. One of the most significant development was the announcement of 62 founding B Corps in the UK in September 2015. The fact that even the UK adopts the B Corp certification system (originated in the U.S.) testifies to the widespread acceptance of the scheme. In 2014, the B Lab founders won the prestigious Skoll Award for Social Entrepreneurship. Over the past four years we have been preoccupied with the first part of this mission: designing and delivering a series of educational programs to nurture a new generation of social entrepreneurs. While this important work has to be sustained and further developed, we feel nevertheless that Hong Kong society has reached a point that we need to make a serious and concerted effort to push for the transformation of mainstream business. Even the Government-created Social Innovation and Entrepreneurship Development Fund saw the need for promoting the Shared Value concept to the business community. We fully embraced this bold initiative. But we think that the B Corp movement could be an even powerful platform to enable and support businesses to make the transition. Late last year, the Hong Kong Social Entrepreneurship Forum also made the strategic decision to focus on promoting B Corp from 2016 onwards. We anticipate there will be growing interest from local businesses to join this movement. Education for Good is dedicating itself to providing educational programs and consultancy support for businesses interested to embark on the B Corp certification journey. 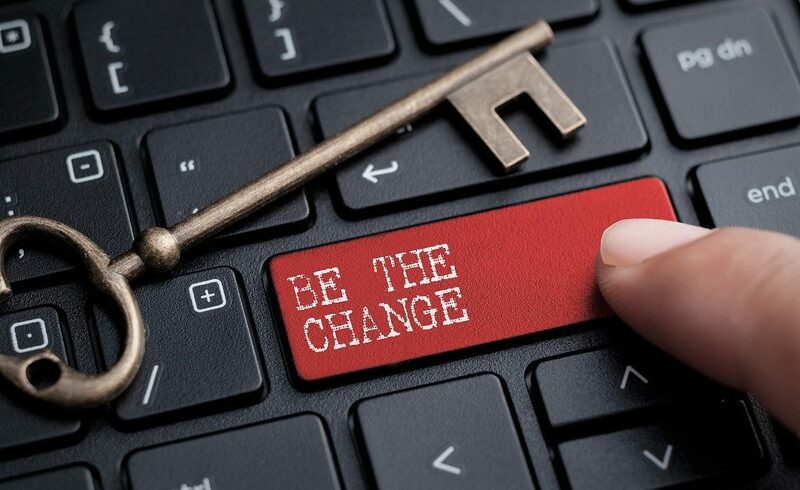 At the coming Social Enterprise Summit to be held in September this year, there will be an expert on B Corps from the U.S. who will be one of the Keynote Speakers. His name is Ryan Honeyman, author of the book, The B Corp Handbook: How to Use Business as a Force for Good. Let’s work together to turn a new page in transforming the face and heart of business in Hong Kong.